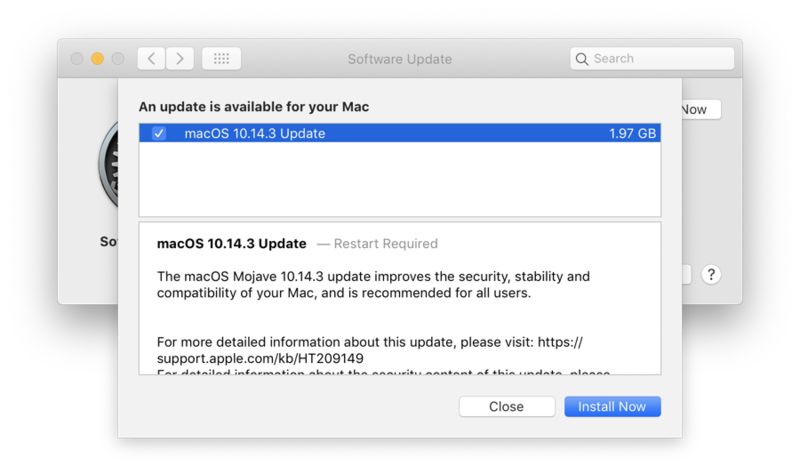 Apple has just released macOS Mojave 10.14.3 final version for all compatible Macs around the world. Here’s how you can upgrade and what is new in this release. 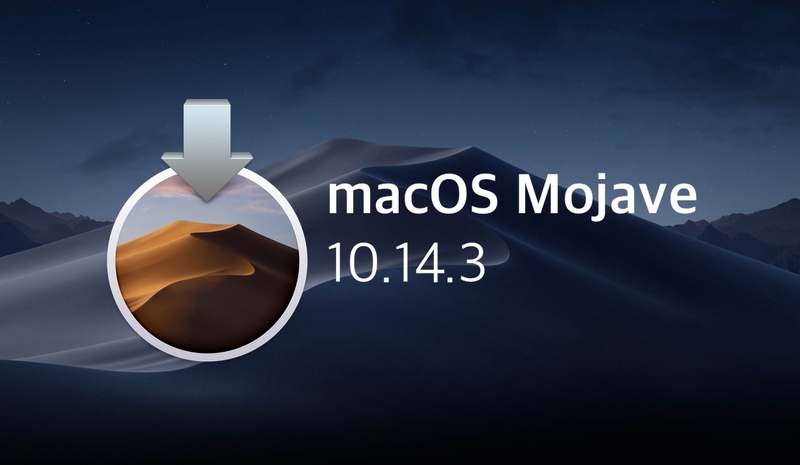 ‘The best way into a cold stream is to jump right in,’ so let’s dive into the changelog first then we will get to the part where you download macOS Mojave 10.14.3 onto your Mac. With that out of the way, you’ll be pleased to know that the latest release from Apple can be downloaded over the air, that too immediately. How do you do that? Well, just launch System Preferences, click on Software Updates, then allow the tool to search for the update and download it. It’s as simple as that. Keep one thing in mind, since this is a software update for the entire OS, therefore you will be required to restart your Mac in order to complete the installation. In other words, please save your work ahead of time, negating the risk of losing anything. You’ve been warned. It’s highly recommended that you go ahead and download the latest updates for macOS in order to keep everything ticking nice and smoothly. After all, the next big thing is many months away therefore you have to make do with macOS Mojave for the time being, and everything should be done to keep the current ware as pristine as possible, which is only applicable through software updates. Thankfully, Apple will bless Mojave with bug fixes and performance enhancements till the end of 2019, after which the OS will only receive supplemental updates. Well, what are you waiting for then. Go ahead and download macOS Mojave 10.14.3 onto your Mac and let us in the comments section what you think about the latest update.